This is a wonderful and fun recipe for this time of the year, and also super tasty! 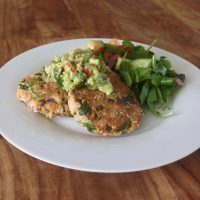 In the Early Summer, we look at supporting our connective tissue and movement and the salmon contains lots of omega 3 fatty acids, essential for tissue and muscle flexibility as well as joint motion. Avocado is fantastic for providing vitamin E, helping to repair connective tissue and cells, and great for the skin! Enjoy on the BBQ if its a lovely sunny day out there! Use a large knife to chop up the tomato into small pieces then tip into a large bowl. Halve and stone the avocados and use a spoon to scoop out the flesh into the bowl with the tomato. Add all the other ingredients into the bowl, then season with salt and pepper. Use a fork or a masher to roughly blend everything together. If not serving straight away, sit a stone in the guacamole (this helps to stop it going brown), cover with cling film and chill until needed. 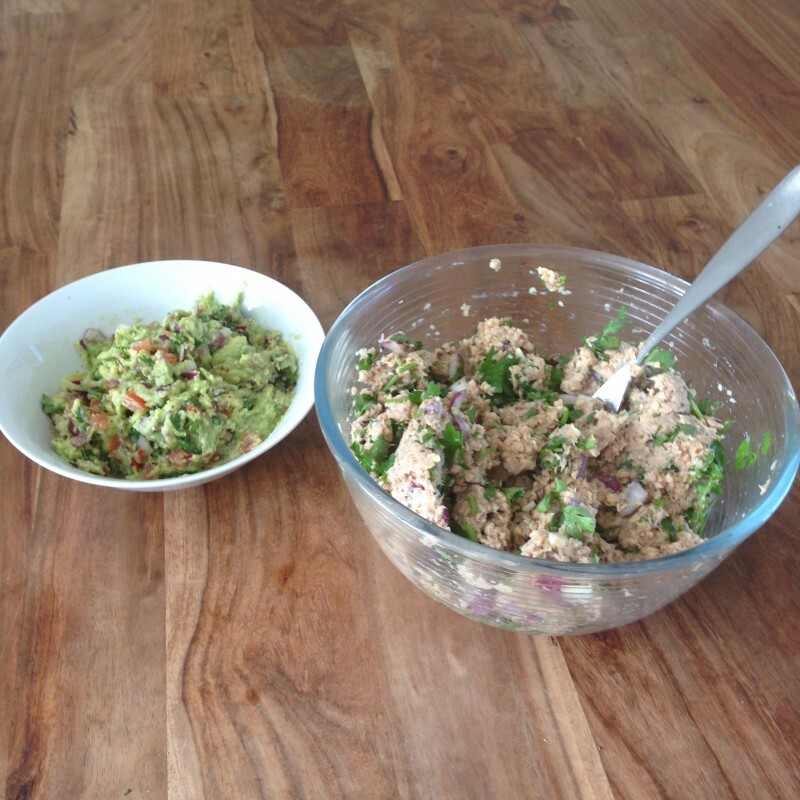 Drain the salmon and put contents in a large mixing bowl. Mash the salmon with a fork. Add the eggs, oats, onion, herbs, seeds and seasoning, stir all together until combined well. 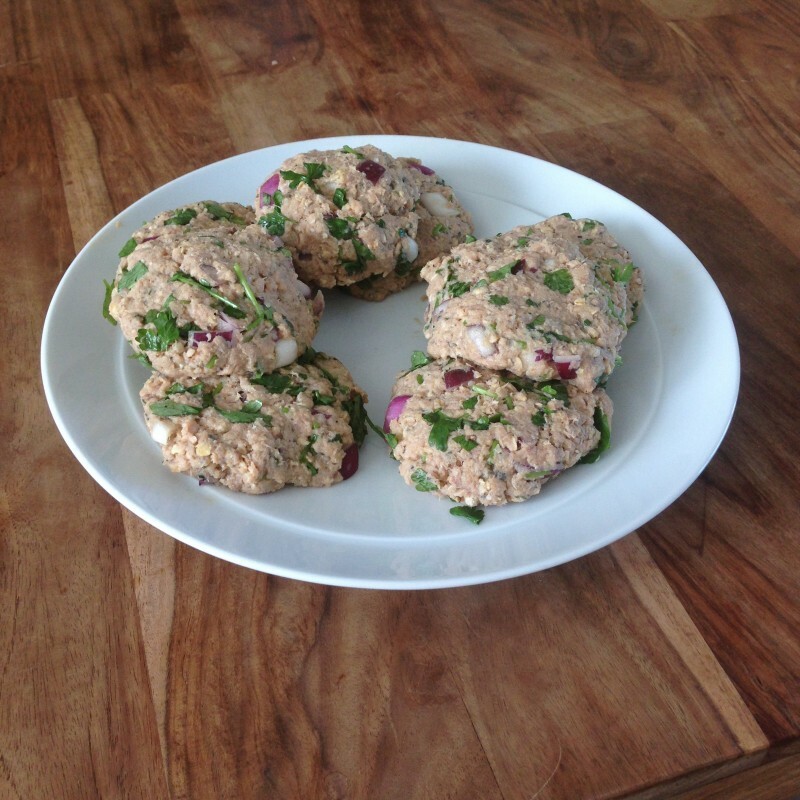 Mould the burgers by taking a small handful of mix and pressing into shape – makes approximately 8. Heat a generous amount of coconut oil (or butter) in a frying pan and place the burgers in, frying both sides until browned and heated through.